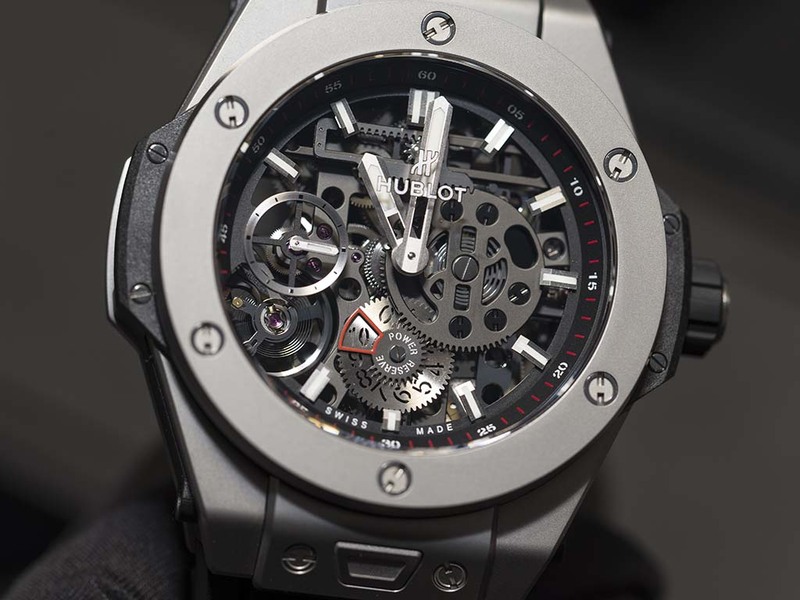 Hublot has introduced a brand new movement, the hand-wound HUB 1201, with an impressive 10-day power reserve and a machine-like aesthetic inspired by the Meccano game of modular components. 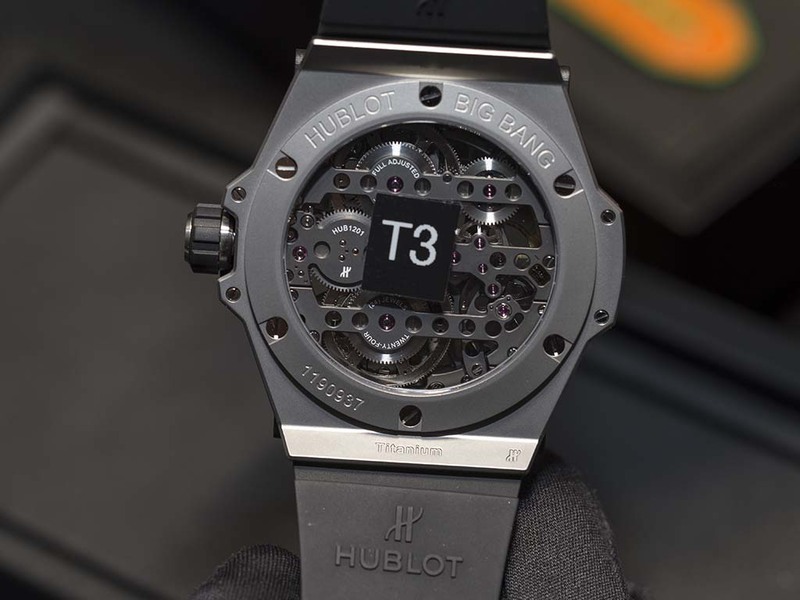 The brand released the new movement, which took 5 years to develop, in a model called Hublot Big Bang Meca-10. Children’s Meccano kits include wheels, bars, bridges and pinions that are used to build and dismantle toy robots, tractors, airplanes, race cars buildings and other technical wonders – which seem like a perfect inspiration for watchmakers at Hublot. 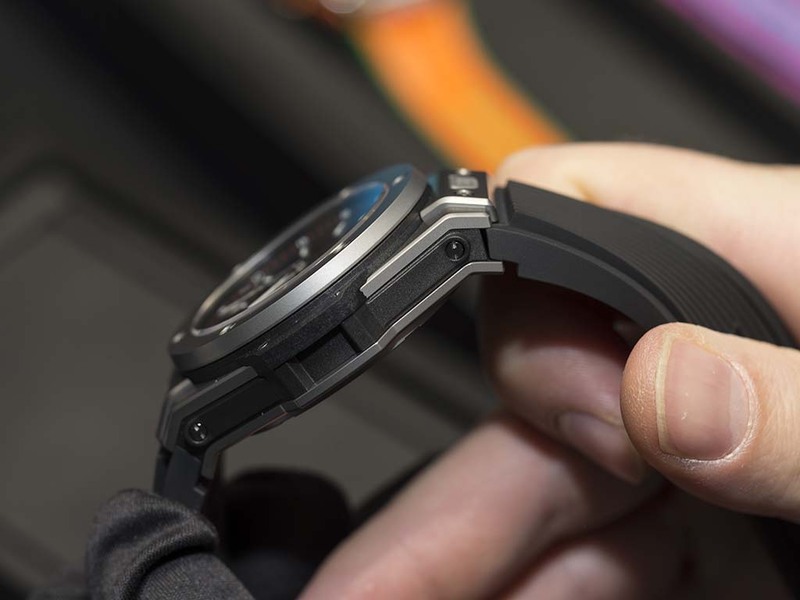 The watch comes in a 45mm wide, micro-blasted titanium case, with the brand’s signature six screws on the titanium bezel. The case sports double sapphire crystals on both sides with AR coating. The crown is partially rubberized for easy grip. 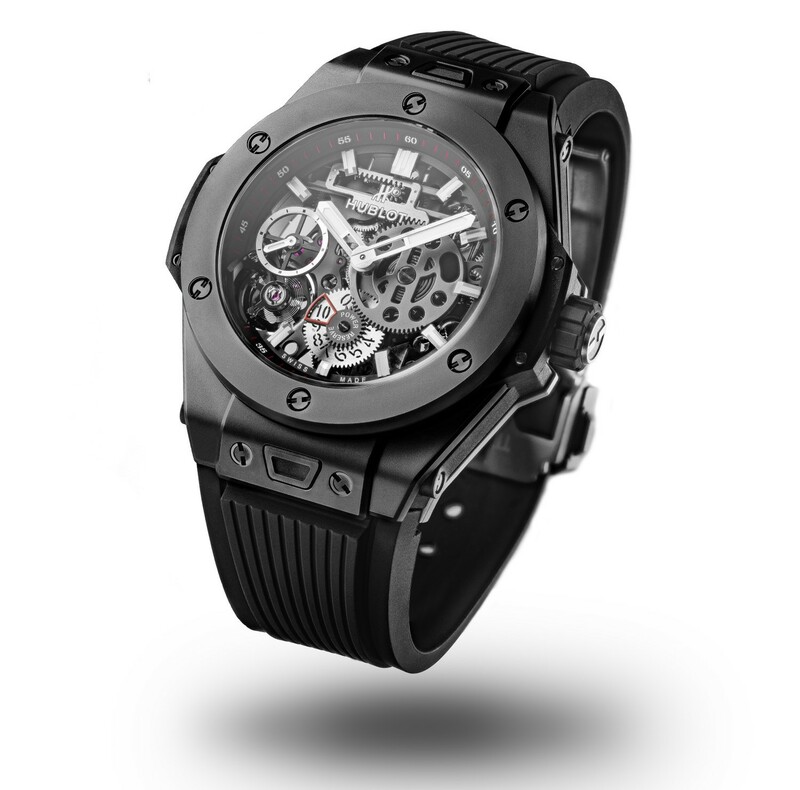 The timepiece is WR100M water resistant. 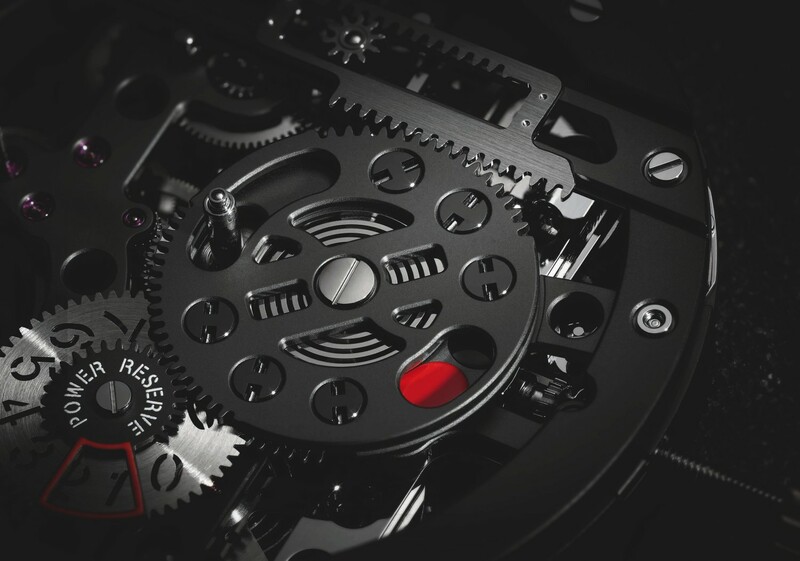 The open dial reveals the movement’s bridges, gears, pinions and wheels, extract to simulate the engineered, block formed components featured in the toy set, all stunningly coated in black PVD. 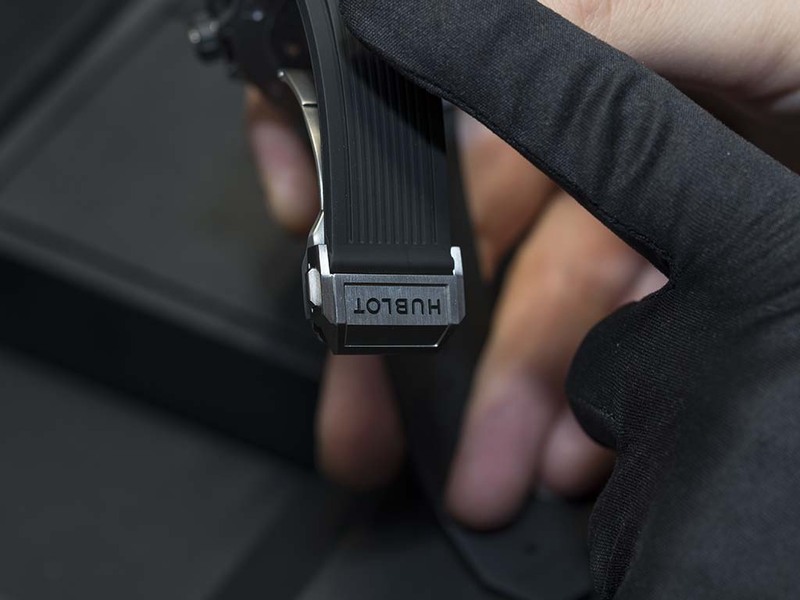 The rounded, perforated power reserve indicator is secured by six black screws with Hublot’s signature H-shaped screw heads. The caseback reveals three main bridges over the barrels and gear train that add to the Meccano style. Due to the long run power reserve, the attention of the dial and movement is the dominated by the winding mechanism. 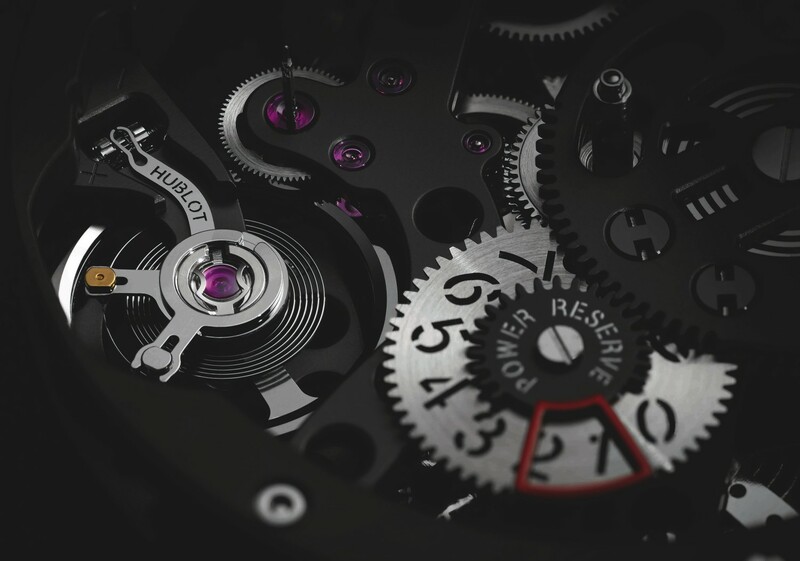 A horizontal double rack-and-pinion mechanism at 12 o’clock is linked to a two-part power-reserve indicator. A crown gear with exposed teeth at 6 o’clock indicates the power-reserve status via a red cage on a scale from 1 to 10 days. It is linked to an elliptical vent pressed into an oval, skeletonized plate at 3 o’clock turns red when there is only two days left in the power reserve.The escapement is uniquely located at the 7 o’clock position, with a small-seconds sub dial just above it. The 223-component movement has two parallel barrels to provide the long power reserve. The model is offered on a vulcanized rubber strap with rib pattern. 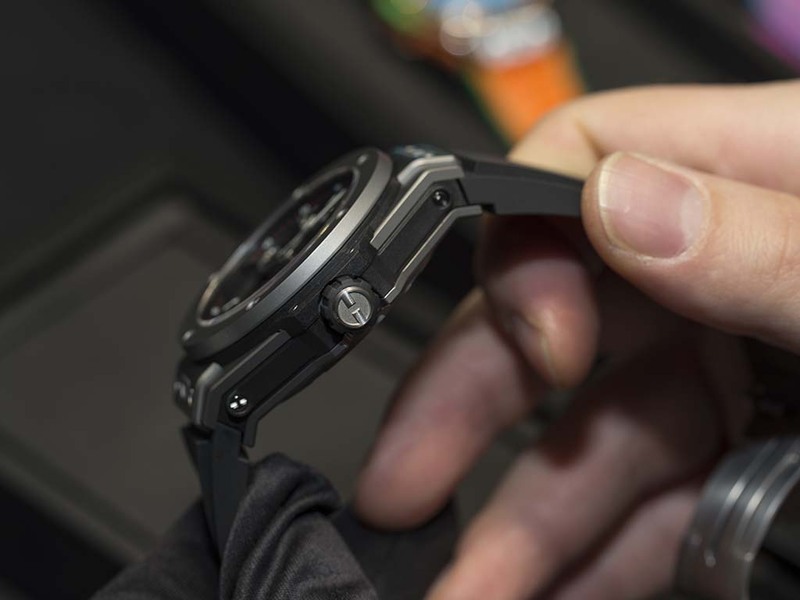 The strap feels quite comfortable on the wrist and it is accompanied with the classic folding buckle made of titanium. Though I am not a big fan of the Big Bang concept for the un-countable numbers of limited editions and a bit of the user profile, I must admit I loved the Meca 10 titanium. It’s one of the coolest watches I’ve seen during Baselworld 2016 and practically the nicest looking Big Bang ever.